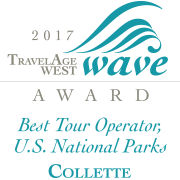 Collette supports our travel agent partners, who work tirelessly to make your travel experience easy and effortless, beginning to end. From answering any questions that you may have to helping you to choose the perfect destination and the perfect tour, they make the reservation process fun! Search below for a travel agent near you or call us and we will assist matching you with a great local travel agent.